Indeed, security guard business is a profitable venture if you can provide your clients with the best security guards. Everybody wants their homes and offices to stay safe, hence the need of security guards is increasing at a rapid rate. Moreover, if you look at news around the world crimes are increasing as well. So, it our duty to keep ourselves safe and secured. 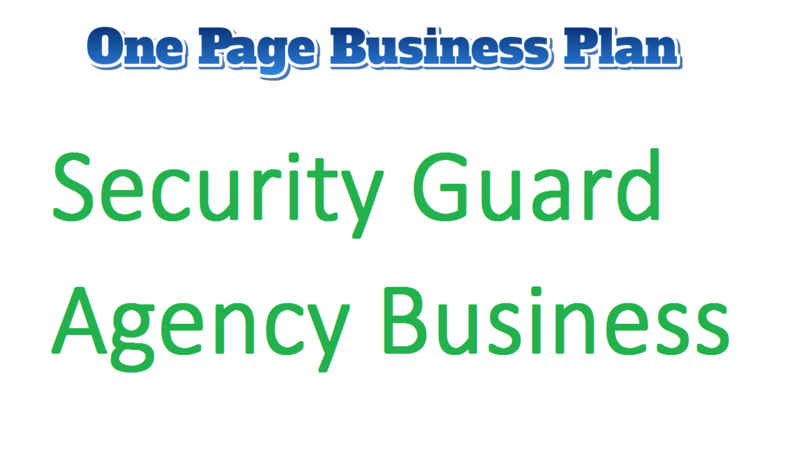 So if you are planning to establish a security guard business, start planning today! The startup cost of this business is quite low because you will need to do more hard work rather than spend bulk. As per our studies and research, an average of $50,000 is required to establish a licensed security guard firm. An office or space is required to train your employees. If you cannot afford to lease a space, you can train your employees in your garage or the rooftop of your home. Since you will be huge space these would be suitable places for you. You can locate your office anywhere in your area. Obtain a license for your firm. The license you will be obtained will be highly dependent on the security services you plan to offer. You must also know that the license for unarmed security guards differs from that of armed guards. The license requirements and the process may differ according to the laws in the country or state of doing business. Another good commence is to seek the services and advice of a security consultant or expert. Hiring employees is the most important part of the business. You must hire employees who have gone through the same process and rules and regulations which you have. That they will be working for you do not mean that they do not need all the same training you acquired to start the company. After getting everything up and running, you need to go out and look for businesses or organization that are in need of security guards. It is possible to have a contract with city law enforcement agencies to work particular events and other venues. In conclusion, the above steps are what you need to start up your own security guard company. Although, it is important you bear in mind that no business or industry is free of challenges and problems. So if you really want to get success as a security expert or CEO, then you must brazen up and face the challenges that rise squarely. Your target markets are companies, households, agencies, sports organizations, schools, estates, communities and so on. Train your employees so that all these organizations come to you to hire security guards. You need a course in criminal law. Even though the course may not be needed in every state, but it can assist in giving you a clear and better understanding of the laws and all that is acceptable and not acceptable in the field of duty. This field comes with a lots hard work and dedication. But the outcome of this business is very profitable. By the third year of this business, you will be earning loads! The key to success to your business is training your employees in the best manner. Maintain a good relationship with your clients.